Price Look Up (PLU) codes have been used for nearly thirty years by grocery stores and supermarkets to make identification of bulk produce and related items easier, faster, and more accurate. This globally used coding system is a tool for cashiers to ring correct prices at the point of sale, and more efficiently track inventory and category management. While manual, keyed-entry processes were once the only way to input PLU codes into the till, consumer demand for faster, more efficient grocery checkout has propelled the development of Auto-Star’s Quick Flip application, which provides touchscreen integration for your grocery point of sale (POS) to streamline the look up and entry process. 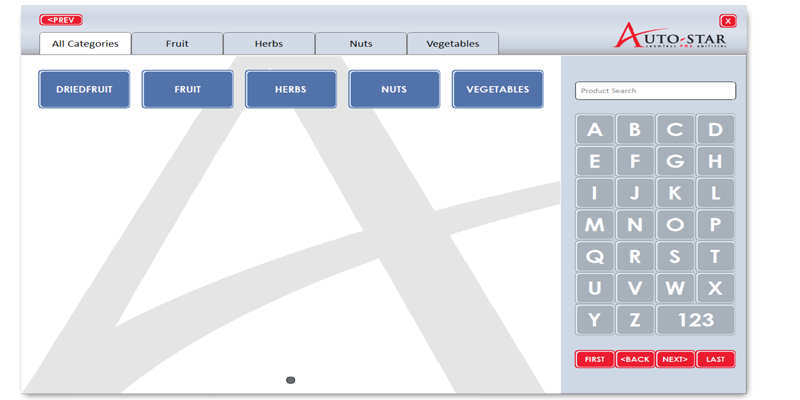 With Quick Flip, your business can customize the application to accommodate your most common produce categories or items. Shortcut keys on the till can be programmed to automatically open the Quick Flip application to a specific tab. For example, a button designated for “Fruits” can be set to open the “Fruits” tab on the Quick Flip touchscreen, allowing your cashiers to navigate to the desired item in as few keystrokes as possible. While the Quick Flip application includes a robust item and image library, your store has the ability to add new items and images as they are needed. The Quick Flip application was designed with quick and easy deployment in mind. Designate up to four categories to be displayed within your “quick tabs” at the top of the application. An intuitive editor then allows you to swiftly identify item categories and pull in related items. 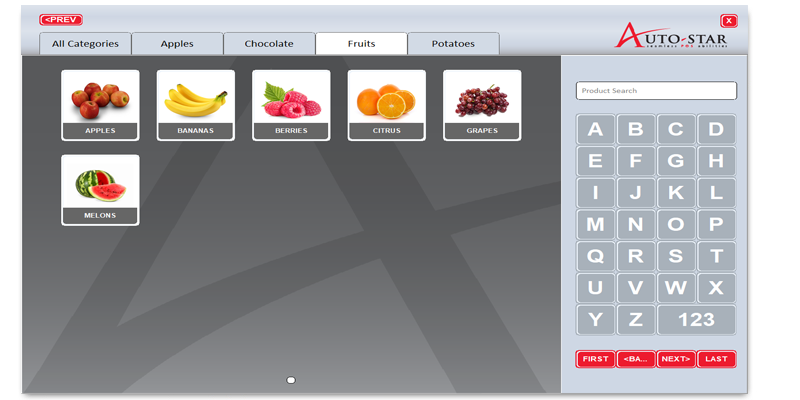 For example, your “Fruits” quick tab may feature “Apples” as an item category, and “Granny Smith” as a designated item. 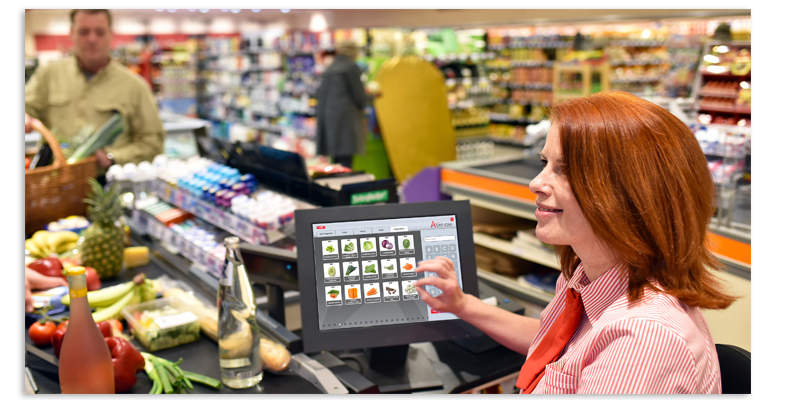 With Quick Flip, your grocery cashiers can effortlessly use touchscreen technology to process PLU codes, helping to speed up the checkout process and providing a better overall customer experience. For more information, or to demo the Quick Flip application, contact Auto-Star.